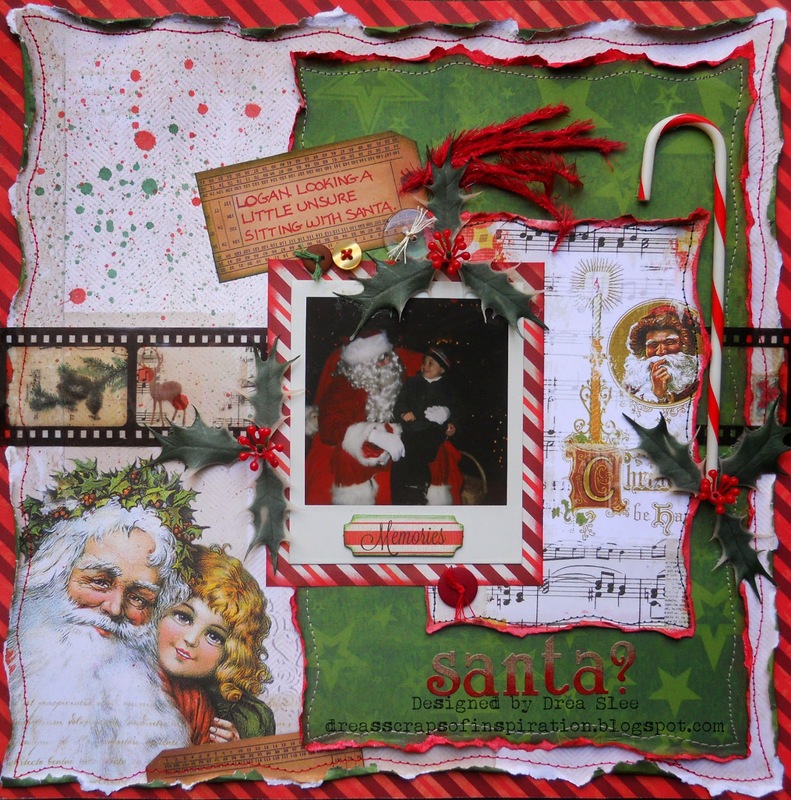 This Santa image is my favorite piece of paper in Bo Bunny's Christmas Collage I want it all bundle from FotoBella! I just had to use it, so I'm back with another page that I scrapped of my son when he was just 6 years old. I also wanted to use the film strip, which I didn't get to use in my previous projects. 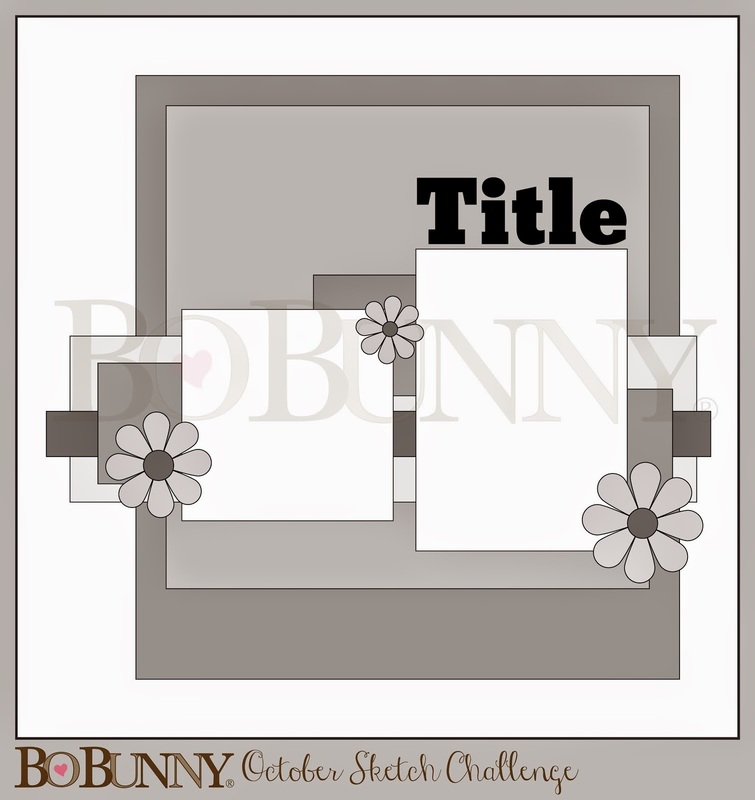 It worked great with this fabulous sketch from Bo Bunny. I did a lot of distressing, misting, machine-stitching, and inking on this page, including the title stickers, which I inked along the bottom in red. It really helped to pop it out. All of the buttons came in the Ephemera package, except for the little yellow one, which I got in the Christmas Collage Buttons pack. 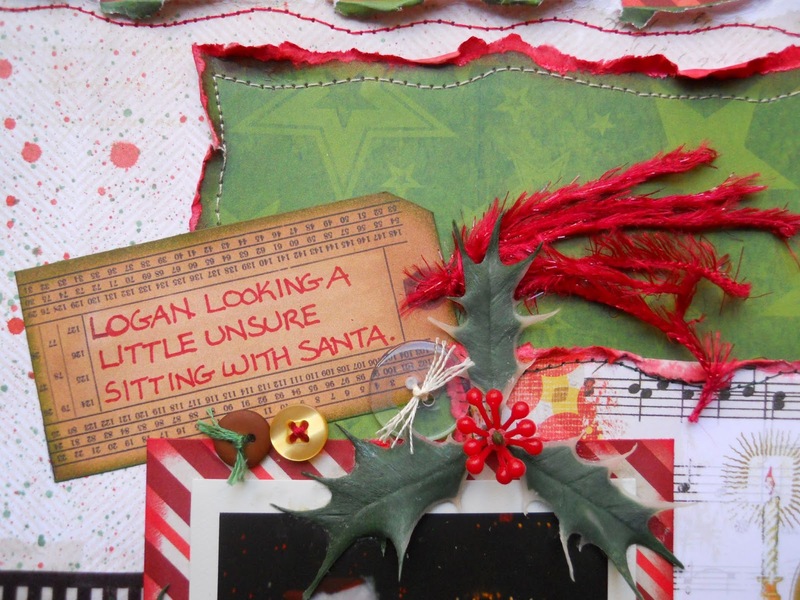 The tag was cut from patterned paper, and the fibers on it came from my own stash, along with the candy cane and holly leaves. I used the Memories Chipboard on the bottom of the Polaroid, and inked the edges in green. This bundle works really well for all of your holiday memories, old and new!